Foodspiration: How many Ph.D.s does it take to make baby food? How many Ph.D.s does it take to make baby food? Apparently two. We've just opened the box on our BabyCook- a lovely gift that we received that steams and purees fruits and vegetables all in one. The size is perfect for small batches. And today I made our first batch of sweet potato puree for our little guy. Unfortunately, I had the hardest time understanding the instructions! It took a second pair of eyes- Justin- to point out the obvious sentence that explained how much water to add to the machine. It was the first sentence. Oh well. I'm blaming it on "mommy-brain." The little guy loved the sweet potatoes. So far he's had brown rice cereal, oatmeal cereal and now sweet potatoes. It's exciting to see him try food for the first time and he's definitely interested when we eat. We can wait to see him eat more fruit and vegetables. I know we've been a little quiet on the blog front but hoping to have more posts soon. I confess that I miss some of my late night baking projects. If you have kids, what were the first foods you gave them? Rice cereal at first, then mashed up banana, various sorts of very ripe mashed fruit, then mashed up vegetables (whatever we were eating) - scrambled eggs, yogurt, eventually Cheerios (that's always fun to watch as they sort of melt in baby's mouth, and it keeps them busy). In our case, baby was anemic, so I gently fried chicken livers and mashed them up with (shudder) strawberry yogurt, which Chicklet just loved. No accounting for tastes, I suppose. We had a baby-food puree machine, but found that we didn't need it because she ate whatever we ate, mashed firmly with a fork. well, so far the babycook has been convenient because it's all in one and therefore just one bowl to wash. i really like it. I made Alexis' baby food too. Though I did it in larger batches in the blender and froze the results in ice cube trays. Pre measured servings! Then I had a variety on hand and made larger batches. We had bags and bags of frozen food cubes in the freezer. It worked well for us. Hands down her favorite was what we called "Trick Green Beans". Half green beans and half spinach. We couldn't get that stuff in her fast enough! I mixed them because I was afraid she'd spurn the taste of pure spinach, but over time the "trick green beans" became more spinach than green beans. We started with rice cereal (which she quickly disliked in favor of foods with flavor! ), banana, avocado, mango, yogurt and then on to everything else. She eats what we eat now. Hi Lauren! I was wondering about this contraption myself. I made all of my baby food for my first daughter and am doing the same the 2nd time around. I thought about getting one of these, but ultimately decided against it since I am now home full time. I don't know if you are familiar with this site- http://wholesomebabyfood.com/ but they have a lot of good idea for baby food prep! Congrats on your little boy! Thanks for the good ideas. I will have to try trick green beans but maybe sneak in some peas as P doesn't like them. 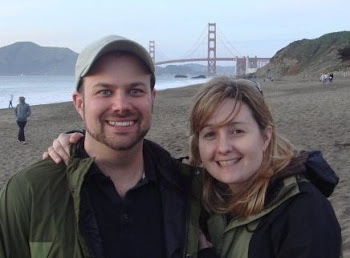 Thanks, Rebecca, for that site- it's great. 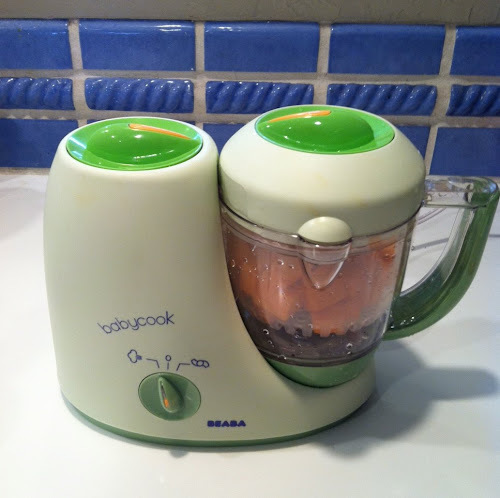 I do really like the Babycook as it makes the whole process really convenient with minimal clean-up. I think we'll have a baby food post coming soon!